(2) strands of approx. 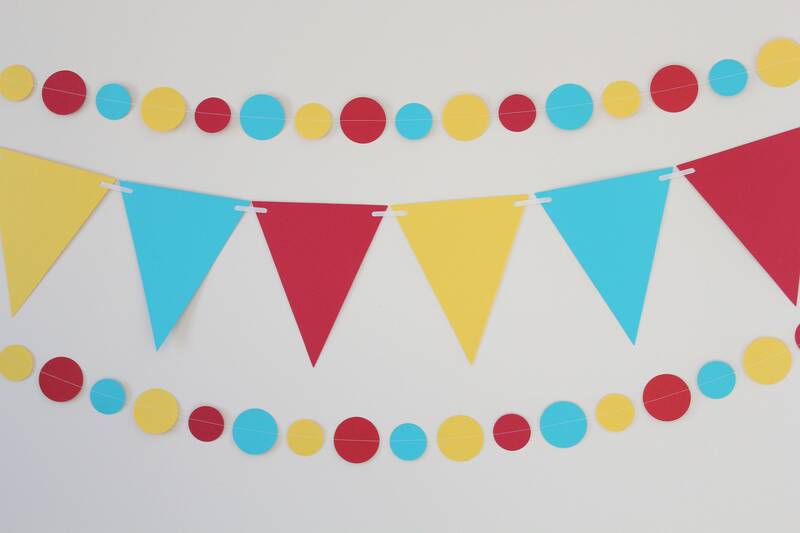 5ft long garland in Red, Yellow and Teal in a mix of 2.5" and 2" card stock circles that has been sewn together with white tread. 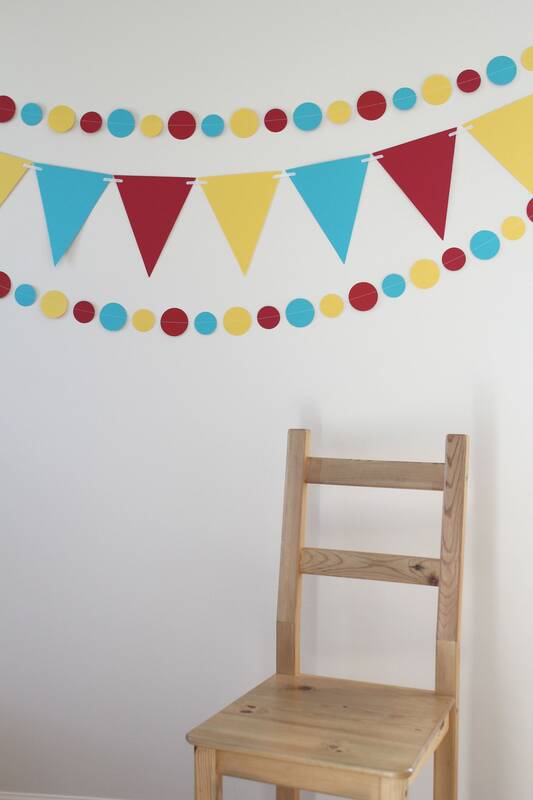 (1) Single strand banner that is approximately 6ft long in Red, Yellow and Teal strung onto a white ribbon (Triangles measure 7" wide x 9"long). 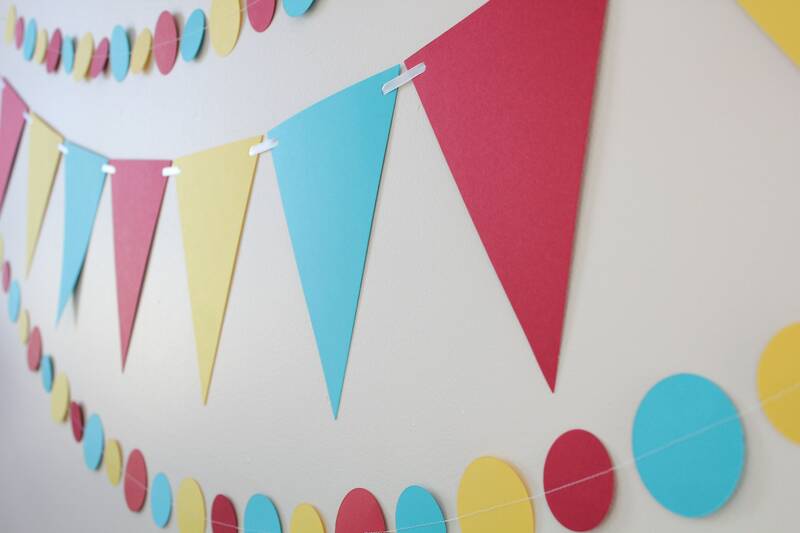 Banner and garland are made out of 65lb card stock paper. *PLEASE NOTE: Colors may look different depending on the type of computer monitor you are viewing the item on.